"An investment in the UC Davis strawberry breeding program is an investment in the future of strawberries," Tomlinson said. 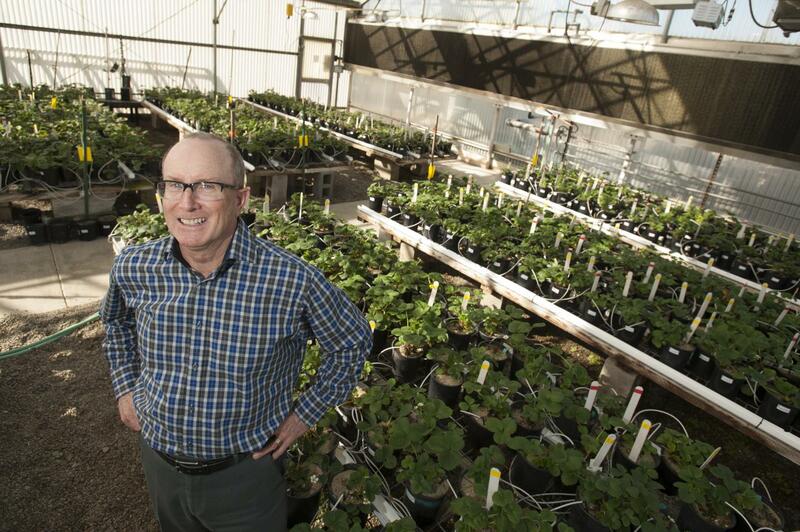 "Thanks to their groundbreaking research and strong partnerships, Director Steve Knapp and his colleagues are developing improved strawberry varieties publicly available to farmers." Strawberries constitute a $4.4 billion-dollar industry in the United States, and 94 percent of the nation's strawberry fruit and nursery plants are grown in California and Florida. "Following the elimination of methyl bromide fumigation, strawberry growers are under greater economic pressures, and there is an urgent need for improved, disease-resistant strawberry varieties that will thrive without fumigation," Knapp said. "Strawberry growers are faced with the need to deliver high-quality fruit to consumers year-round, while protecting the environment, fostering economic growth in their communities and coping with profound changes in production practices," Knapp said. "We look forward to collaborating with our industry partners through research, agricultural extension and education to help them reach those goals." The grant is funded by USDA's Specialty Crop Research Initiative. Collaborators from UC Davis include agricultural economist Rachael Goodhue, plant pathologist Thomas Gordon, and plant scientists Julia Harshman and Thomas Poorten.